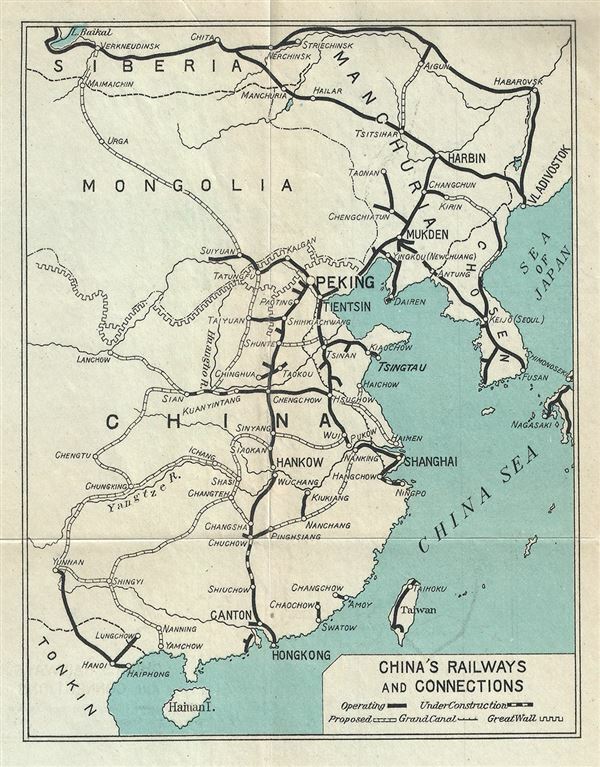 This is a scarce 1924 railway map of China issued by the Imperial Japanese Government Railways. It covers all of China from Hainan north to Siberia and eastward from Korea to Yunnan Province. The Great Wall of China and the Grand Canal are identified. Throughout, the map notes several railways lines in operation, under construction and proposed. Important cities, rivers, towns and provinces are noted. This map was issued as part of the 1924 Official Series Vol. D of the Guide to China and printed at the Toppan Printing Company.